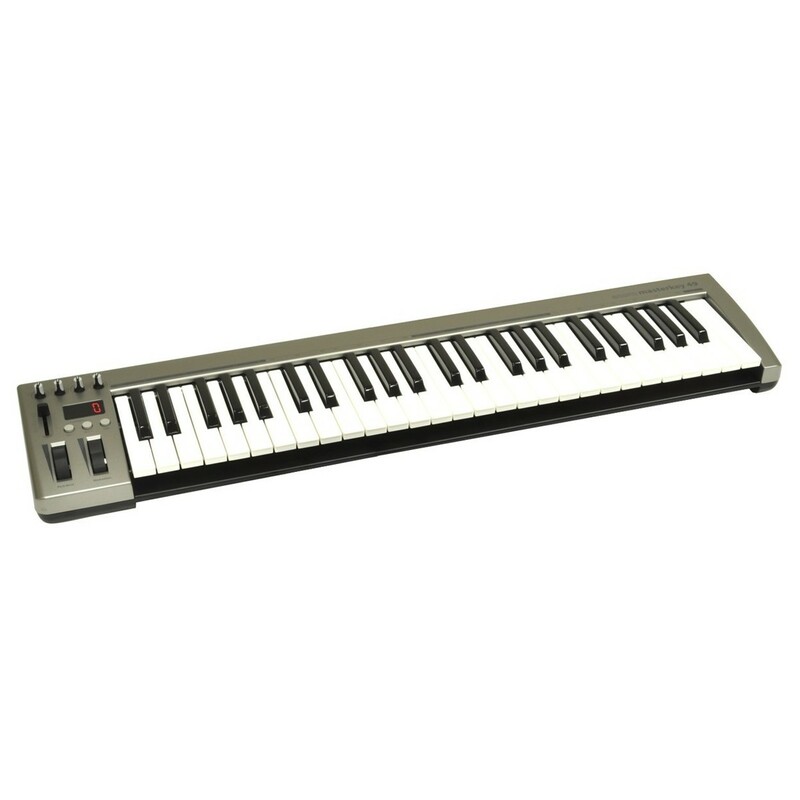 The Acorn Instruments MasterKey 49 Key USB MIDI Keyboard is a highly affordable MIDI controller keyboard, kitted out with everything you need to get the most out of your DAW. The MasterKey 49 is the ideal starting point for any up and coming producer, with its highly affordable price tag and wide range of controls. At the heart of the MasterKey 49 is a 49-note, velocity-sensitive keybed. The touch-sensitive keys react to the power of your touch, with smaller strikes generating lower volumes and softer tones. It also features a modulation and pitch wheel, with both being assignable. Additionally, the keyboard comes complete with a copy of PreSonus Studio One Artist to get you started, straight out of the box. The MasterKey 49 features a velocity-sensitive keybed for optimal expression. This means the keys react to the pressure of your touch, varying between low and high volumes when the note is struck. This is ideal for use within DAWs, allowing you to play virtual instruments, samples and more with optimal flexibility. The full-sized keys also make it easier to play, especially for those transitioning from traditional pianos. It also features a range of controls, designed to improve your workflow and capabilities when it comes to digital music production. 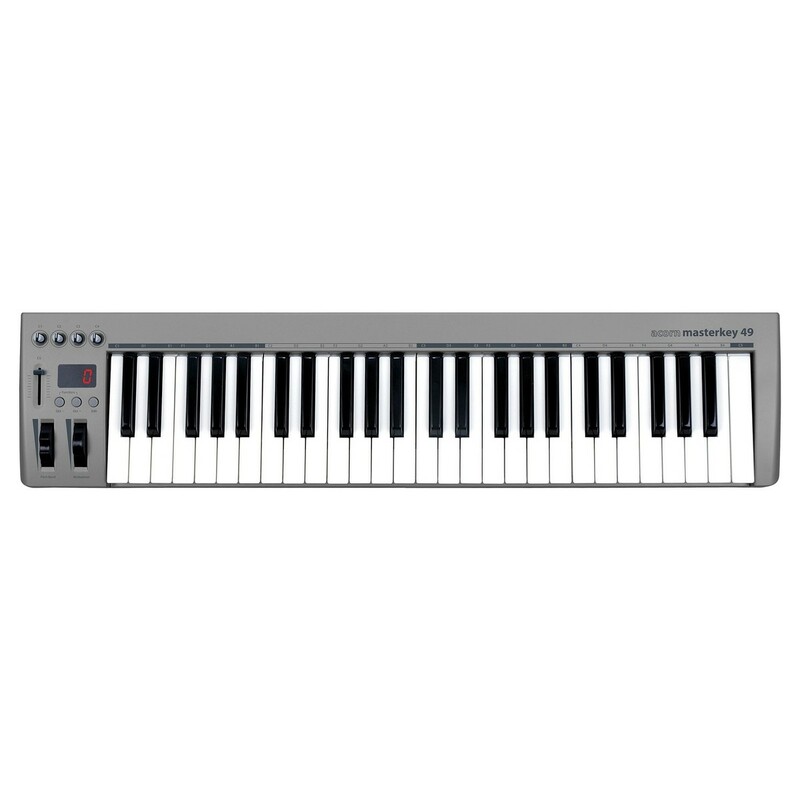 The keyboard also comes complete with a copy of PreSonus Studio One Artist music software, allowing you to get started, straight out of the box. Accompanying the keybed is a wide range of modulation control including assignable pitch bend and modulation wheels. A MIDI fader is also included, ideal for automating volumes and other levels within your music software. The 4 assignable MIDI knobs provide real-time control, ideal for changing levels as well as settings and parameters such as on a virtual synth. The pitch bend and modulation wheels are comprised of a rubberised coating that provides optimal grip, providing the perfect feel for quick and easy modulation. As well as the MIDI controls and integrated pitch bend and modulation wheels, the MasterKey 49 also boasts a 3-character LED display. The LED display provides information on functions such as the transpose and octave buttons. The octave button allows you to change the range of the notes you are playing. The transpose button is ideal for changing the scale of your notes, changing the range by semitones for interesting results. The USB connection provides power for your MIDI controller, as well as transferring data between the computer and the keyboard. It also boasts an input jack for optional peripherals such as a sustain pedal for added expression.